Being a start-up, we need constant validation of the product to ensure we are creating value for customers and token holders. We reviewed our latest release, Bernoulli, and determined that a lot has been accomplished. 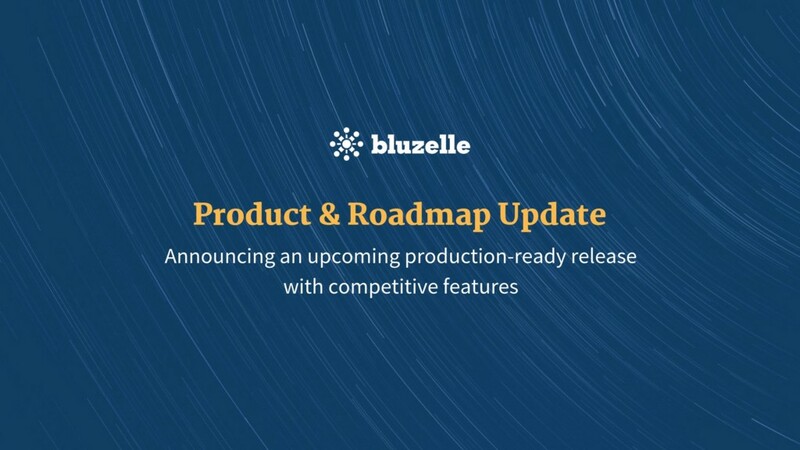 After gathering feedback from more than 200 developers, we believe that we have enough features to put out a version of Bluzelle that can be commercially available and adopted (which is sooner than what we planned for in our initial roadmap). We spoke with developers about the features of this proposed version and the feedback was overwhelmingly positive. We decided rather than having developers wait for a full database, let’s give them the features that they can benefit from now. A commercial product, not testnet, furthers mainstream adoption by developers. We can pinpoint the early customer group and work to scale them. We can develop strategic partnerships with large mainstream companies. We can publish verifiable results. To recap, Bluzelle is a smart, in-memory data store. It is designed to natively support data types such as hashes, strings, sets, sorted sets, and lists. A database is one of the most common uses of data store technology. This is what most people commonly think of. Additionally this same technology can be used as a message broker, queuing system, and a cache.